Cannonball Cave, known to the locals as Davidson Spring or Davidson Blue Spring, after the family who homesteaded the land surrounding the spring, is located in Lake Wappapello just south of Greenville, MO. It was originally a spring coming out of the side of a mountain. The dam was built in 1941, creating the lake. Cannonball Cave was named as such because of a cannonball that had been used as an anchor and was found near the entrance. The cannonball now sits in the entrance. The cave opening is located a few dozen feet from the shoreline at the bottom of a steep hill. 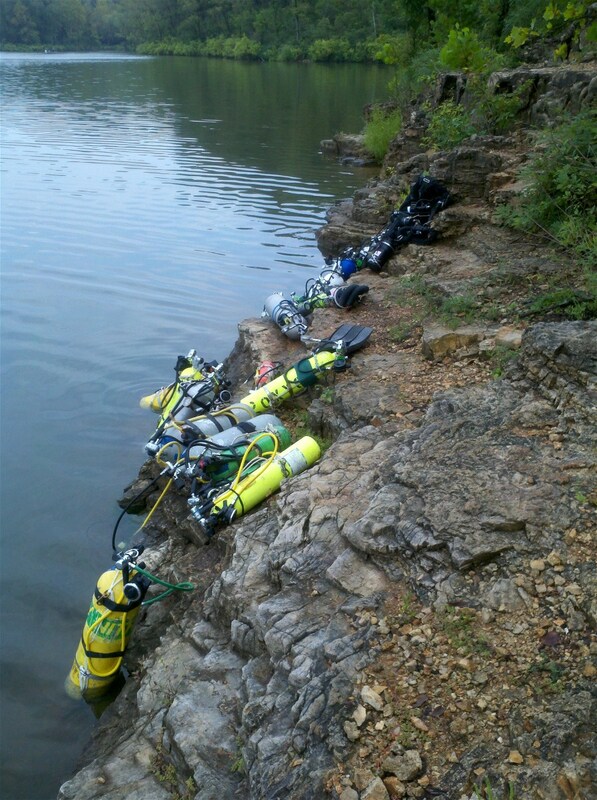 It can be difficult getting scuba gear down and up the hill before and after the dive. Some local divers will launch boats at the nearby boat ramp and anchor on shore near the opening to avoid having to carry gear up and down the hill. 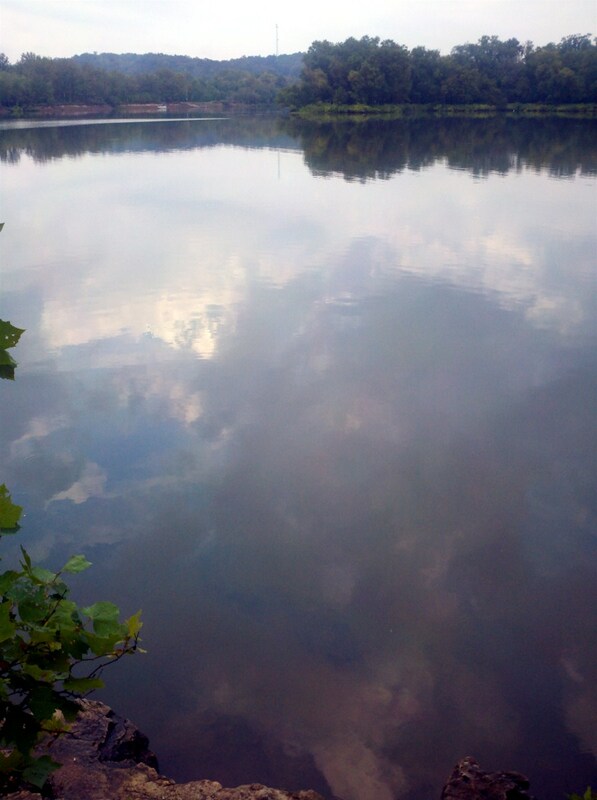 The visibility in the lake is usually measured in inches, sometimes less. Finding the opening of the cave requires someone who has previously been there. Once at the entrance the opening is low and wide and discharges quite a bit of flow, measurements ranging from 25-50 million gallons a day. Once past the restriction the flow is fairly manageable. The passage meanders back about 750 feet at an average depth in the low 50s before coming to the Pit, a downward passage that reaches depths beyond 300 feet. There is a restriction at the bottom of the Pit at 300 feet which is extremely difficult to pass through due to the flow. In the shallow area of the cave there are several side passages, most of which come back around to the main passage in circuits. Water temperature in the cave is usually in the mid-50s F. Visibility can be very low to about 40-50 feet. Roubidoux Spring is located in Waynesville, MO. The spring discharges from a rock ledge that has been reinforced with concrete wall built to support the road that passes above it. This is a high flow system but there is insufficient data to tell whether it is a 1st or 2nd magnitude spring. Diving this spring requires signing in at the local sheriff’s office. There is no fee or permit required but divers must show certification cards and sign out after diving. 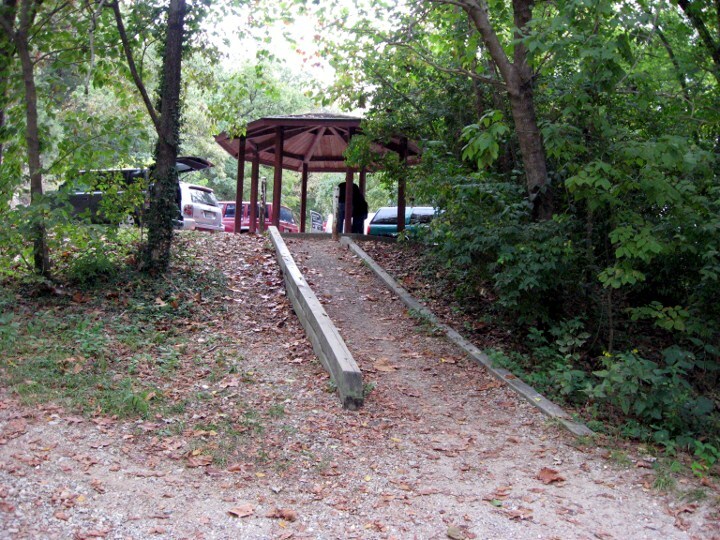 Once at the spring, there is a parking area with restrooms and a covered pavilion. 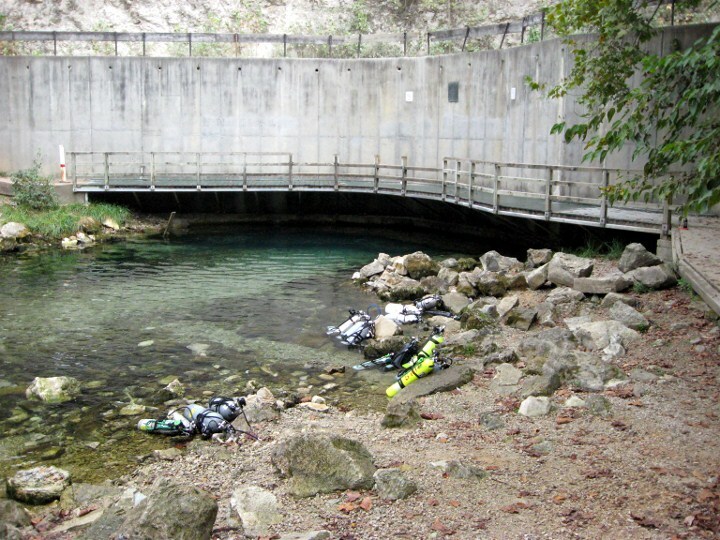 The spring has a large cavern zone which holds a decompression habitat place there by the Ozark Cave Diving Association (OCDA), the team of divers currently doing exploration in this cave. The passage quickly drops to below 100 feet after the cavern and continues down below 250′. Visibility in the cave can range from inches to 40 feet or so with a tannic hue to it. Water temperature is usually in the high 50s F, but has been known to get as high as 69F.